At JEC World 2019, Sika Advanced Resins will unveil Ullit’s new composite tank for trucks that run on compressed natural gas (CNG). Together with its tailor-made epoxy system designed by Sika Advanced Resins, who are a leader in the development and production of high-performance resins, the tank helps to reduce pollution in urban traffic. "We have been innovating together for more than 10 years! Sika Advanced Resins has developed a specific resin for our new range of high-pressure tanks. 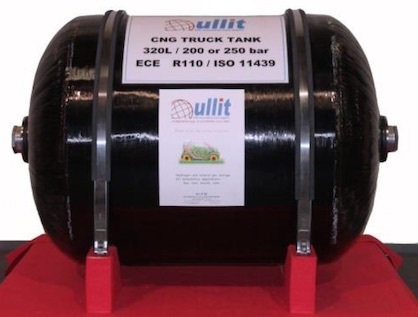 This high-performance resin can be adapted to all design constraints, particularly for our very high-pressure hydrogen tanks, up to 700 bar," explains Ullit founder and CEO Claude Hembert.